MAP Take the Exit for Hwy 70 and travel South to Hwy 98. Make a left on Hwy 98 and go 2 miles to entrance on the right. Falls village is also minutes from I40. Use Exit for Hwy 55 and travel North. Directions from Chapel Hill: Located on Hwy 98 (Wake Forest Highway) in Durham just minutes from RTP! Take Miami Boulevard towards Hwy 70 and Durham. Continue through the intersection of Miami and Hwy 70 and the road will change to Sherron Road. Follow Sherron Road for several miles until your reach the intersection of Hwy 98 (Wake Forest Highway). Take a right on to Hwy 98 (Wake Forest Highway) and we are 2 miles on the left. Directions from Raleigh, Crabtree Valley Mall/ Hwy 70 Take Hwy 70 (Glenwood) towards Durham. Take a right onto Sherron Road and go several miles until you reach the intersection of Hwy 98 (Wake Forest Highway) Take a right on to Hwy 98 (Wake Forest Highway) and we are 2 miles on the left. General Policies Proper golf attire such as collared shirts, no denim, and non-metal (soft) spikes are required. No personal coolers allowed. Practice Range, chipping & sand practice area, 2 large putting greens. Personnel Tim Reeser, PGA Professional; Rex Jarvis, CGCS, Course Superintendent. Comments This championship course provides a full variety of shot opportunities with elevation changes built into many holes. 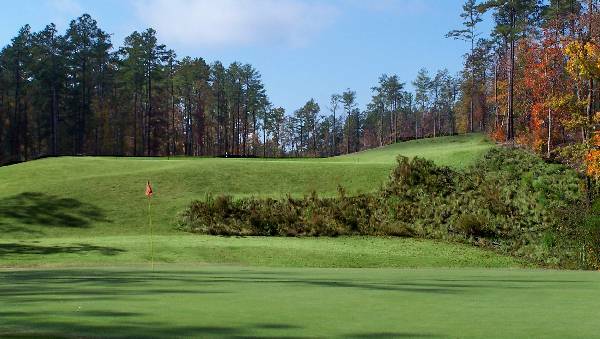 The course is memorable by its design features and natural beauty. 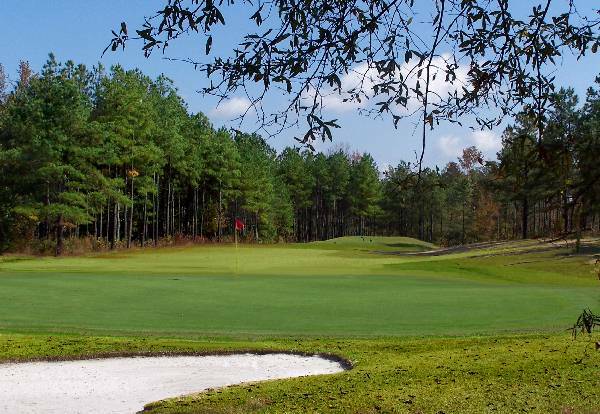 Because none of the adjacent land has been developed yet, playing this course gives the golfer a quiet day in the country with the chance to encounter wild turkey, deer, foxes and other wildlife. There are only two places with out of bounds. The highly accessible Falls Village Golf Course is between the Interstate corridors of I85 and I40 and is minutes from either.